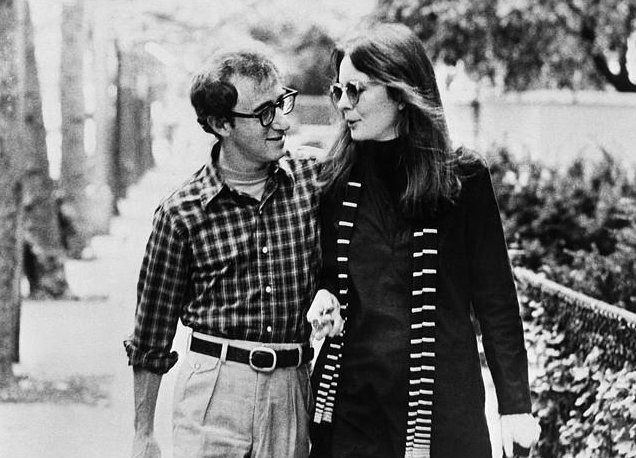 If there’s one movie that director-writer-actor Woody Allen will always be remembered by, it would have to be Annie Hall – a seminal and incredibly witty deconstruction of an urban relationship… and a romantic comedy if you can really call it one. This was also perhaps the inimitable auteur’s most personal, even semi-autobiographical, film, something he made sure to poke fun at in the finale. The movie has Allen playing Alvy Singer, a New York-based neurotic, pessimistic, “hostile” and intellectual stand-up comedian, recounting his falling in and then out of relationship with Diane Keaton's shy and impulsive wannabe singer called Annie Hall, who’s everything that Alvy isn’t, and vice-versa. Contemporary, hilarious, intelligent, freewheeling and matured, brilliantly laced with wry and self-deprecating humour, punctuated throughout its length with immensely quotable one-liners and wisecracks that are so quintessentially Woody Allen, and filled to brim with cultural references ranging from Bergman to Capote to Freud to Groucho Marx, the film is the cinematic equivalent of a good wine – you need to allow it grow onto you, but once you do, you won’t be able to have enough of it. Interestingly, Allen also made heavy use of a host of filming techniques and gags, ranging from split screens, contradictory subtitles and adult time travels, to stuff like addressing the camera and even animes! I put off seeing this film for as long as possible. I was sure it wouldn't live up to its expectations. But I was so pleasantly surprised when I finally did watch it. It's a classic. And as much as Woody Allen's persona annoys me, this film makes up for it a hundred fold. Great that you liked the movie. I'd seen Annie Hall quite sometime back when I wasn't yet ready for a Woody Allen film, and so had always wanted to return to it once more. I'm glad that I watched it again cos I absolutely loved it. Well, that was more of a general perception than my express views cos I ain't a Woody Allen expert yet. But I'll be able to get hold of Deconstructing Harry soon, and hopefully we can get back to the discussion table after that :) Thanks for your views & suggestions though. "filled to brim with cultural references ranging from Bergman to Capote to Freud to Groucho Marx, the film is the cinematic equivalent of a good wine – you need to allow it grow onto you, but once you do, you won’t be able to have enough of it." ...you reach perfection. I try and watch this film at least once a year, along with a few other Woody's. Just great! Thanks a lot John for the good words and for sharing your enthusiasm for the film. Woody Allen's humour is really something amazing - intelligent, wry, witty & even off-balancing at times. And what was even more fun was the Woody Allen talk - that's something quite addictive really. "Contemporary, hilarious, intelligent, freewheeling and matured, brilliantly laced with wry and self-deprecating humour, punctuated throughout its length with immensely quotable one-liners and wisecracks that are so quintessentially Woody Allen, and filled to brim with cultural references ranging from Bergman to Capote to Freud to Groucho Marx, the film is the cinematic equivalent of a good wine – you need to allow it grow onto you, but once you do, you won’t be able to have enough of it." Thanks a lot Sam. Yeah, I'm with you on that - there's certainly something universal about the movie's theme. I've managed to get hold of Crimes & Misdemeanors, & Deconstructing Harry, so I hope to watch them withing the next few days. I'll try & get hold of Manhattan, too, soon. Thanks again Sam for you invaluable inputs. Shubhajit, thank you! I will be looking for those upcoming Allen reviews!